This merit scholarship program provides three-year fellowships to high-achieving first-year students. The chancellor is meeting with Dean Ranft to discuss recent successes in commercialization of research. The department has hired a new assistant professor. The class of 2018 has a bright future. See entry for Athletics facilities. Use the full capitalized name. If the body or organization in question has an official usage designated for this term, use it. In the absence of an official usage, if the person being identified has a preference, use the term the person prefers. Otherwise, use the non-gender-specific term. Technically speaking, the federally recognized Cherokee nation that is located in North Carolina is not situated on a reservation; the nation is situated on a boundary, which is a different type of geographical entity, legally speaking. The name of this specific boundary is the Qualla Boundary. The name of the Cherokee nation is the Eastern Band of Cherokee Indians. The North Carolina Cooperative Extension Service has centers in all 100 North Carolina counties and the Qualla Boundary of the Eastern Band of Cherokee Indians. The North Carolina Cooperative Extension Service has centers in all 100 North Carolina counties and among the Eastern Band of Cherokee Indians. The college was formerly named the School of Agriculture, the School of Agriculture and Forestry, and the School of Agriculture and Life Sciences. On second reference, it may be referred to as CALS. The college was formerly named the School of Design. The college was formerly named the School of Education. The college was formerly named the School of Engineering. The college was formerly named the School of General Studies, the School of Liberal Arts and the School of Humanities and Social Sciences. The college was formerly named the School of Forestry, the School of Forest Resources and the College of Forest Resources. The college was formerly named the School of Physical Science and Applied Mathematics, the School of Physical and Mathematical Sciences and the College of Physical and Mathematical Sciences. The college was formerly named the School of Textiles. The college was formerly named the School of Veterinary Medicine. 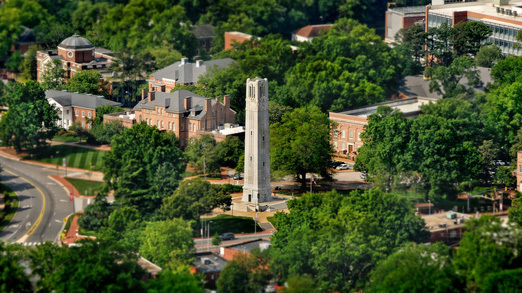 NC State's 12 academic colleges are listed below. I'm taking courses in English, accounting and entomology. The cafeteria served pizza, lasagna, and salad. However, if the final element of a series includes a conjunction, then to prevent confusion it's best to put a comma before the concluding conjunction in the series. To ensure clarity, it's sometimes appropriate to use a comma before the concluding conjunction in a series of complex phrases. We must ask ourselves whether the strategic plan meets the needs of current and future students, whether it can be implemented with the resources available to us, and whether its success can be accurately measured. For further guidance on comma usage, refer to the “comma” entry in the AP Stylebook punctuation chapter. A course may be identified by its course number (MA 201, for instance) or by its name (for example, Calculus II). Official names of courses are capitalized, but generic references to a course in terms of its material are lowercased. Are you taking Analytic Geometry this semester? We recommend taking a course in the history of religions. This open area, formerly called the 1911 Field, is sometimes incorrectly referred to as the Court of the Carolinas. The court is bounded by Leazar, Poe, Page, Winston, Tompkins and Caldwell halls and the 1911 Building. Curriculum is the singular form; curricula is the plural form.